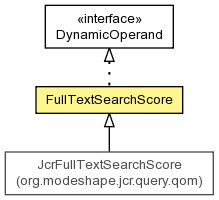 A dynamic operand that evaluates to the full-text search score of a node given by a selector, used in a Comparison constraint and Orderings. Create a dynamic operand that evaluates to the full-text search score of the node identified by the selector. Accept the supplied visitor, which should call back to the visitor to complete the double-dispatch operation. Get the selector symbols to which this operand applies.